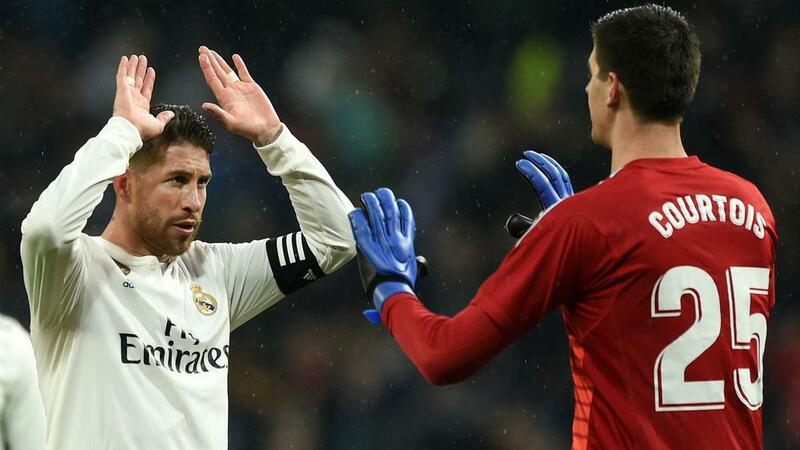 Sergio Ramos was delighted to send the Real Madrid fans home happy after the team produced an "outstanding performance" to record a hard-fought 2-0 win over Sevilla on Saturday. The European champions were fortunate not to be behind at the break after Sevilla missed the best chance of the first half at the Santiago Bernabeu, Sergio Escudero firing into the side-netting at the end of a crisp counter-attacking move. Yet Madrid were by far the better side throughout the second half, Casemiro eventually rewarding their dominance when his long-range curler in the 78th minute found the net despite goalkeeper Tomas Vaclik getting a hand to the ball. The late double ensured Ramos marked his 450th LaLiga appearance with a well-deserved three points, even if both Madrid's players and supporters had to patiently wait for the goals to arrive. "We needed to rediscover our best form. You can see today it was an outstanding performance," Madrid's captain said in his post-match interview on the pitch. "We dominated throughout the game and scored two goals, but the second goal came late. We could have added more, had we been a bit better in front of goal. "But we needed to win - and to win in style. It was a good win for our fans. We always feel connected with the fans in the stands. "I called for the fans because we are stronger when we are together. You have to keep that call alive so people keep believing in our play. "I believe that the fans can go home happy today." Madrid - who needed an 88th-minute winner from Dani Ceballos to triumph 2-1 in the league at Real Betis last Sunday - are next in action in the Copa del Rey, hosting Girona on Thursday in the first leg of their quarter-final tie.